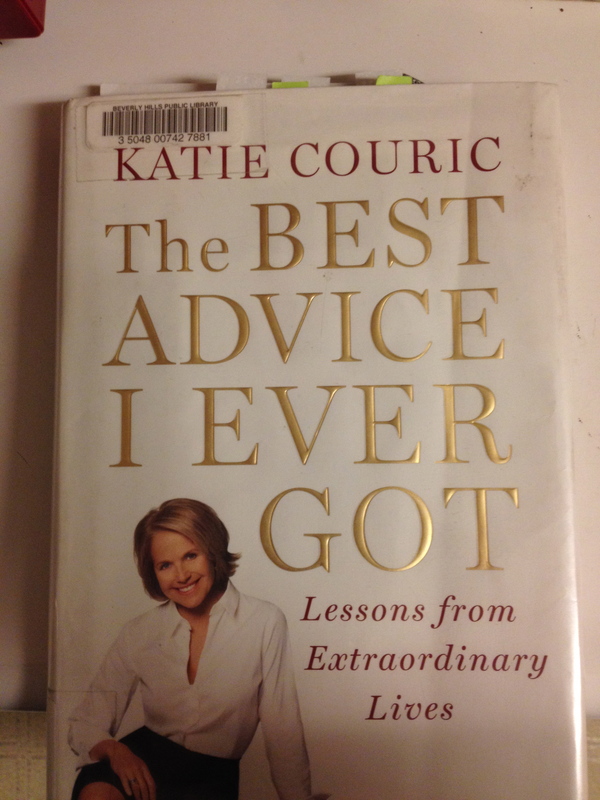 I’m halfway through reading Katie Couric’s The Best Advice I Ever Got — Lessons From Extraordinary Lives. It’s a collection of essays (some are just one paragraph long while others go on for pages) from a variety of people — athletes, entertainers, entrepreneurs, artists, and more. Since tomorrow is Thanksgiving, it seems like the perfect time to revisit (and update) something I first wrote several years ago. I’m a big believer in paying attention to the “little things.” And along those lines, I’d like to offer an alphabetical list of gratitude for the mostly small, largely overlooked things that help make my life easier, more manageable, and more pleasant. A Air conditioning. We take it for granted until it stops working, or we spend time in a place without it. B Bookstores. While it saddens me to know that there is only one bookstore close to home, I am thankful for that one bookstore. Nothing quite compares to browsing through the aisles and discovering a book you didn’t know you wanted. C Cheese, shredded. Those bags of pre-shredded cheese make my dinner preparations faster and safer (no worrying about scraping knuckles against a cheese grater). D Dollar Tree. It’s reassuring to know that when it feels as if everything is getting more and more expensive, we can still go into stores such as The Dollar Tree and afford everything they have for sale. E Electricity. Much like air conditioning, you don’t realize how much you depend on it until it’s not working. When the power goes out, suddenly your options are so much more limited — no toasted bagel and no microwave popcorn. F Flushing Mechanism of the toilet. I don’t know exactly how it all works, but I’m grateful that it does. That the “yucky” stuff disappears and is replaced with a “non-yucky” bowl of water. G Glasses. I’m thankful that we found out my son needed glasses. I’m even more thankful we found a caring optometrist located close to the house. And I’m even more thankful it’s become so common for kids to wear glasses and that my son wears them to school without any sort of teasing or self-consciousness. H Hot chocolate. My son and I sometimes describe the weather as “a hot chocolate day.” The last time we enjoyed mugs of hot chocolate and played board games while the weather outside was chilly and rainy. I “I love you.” Three of the most powerful words. And I’m thankful each time I’m on the receiving end of those words, and I’m grateful I have so many in my life to say those words to. J Jokes. Tasteful, g-rated jokes that are silly, make you laugh, and bring a smile to your face. The kind of jokes you read off of popsicle sticks or the jokes my son reads us from his joke book. K Kitchen appliances, specifically my microwave. While I don’t consider myself a “microwave cooker,” I do use the microwave each day. I reheat leftovers, I warm up a bowl of my son’s favorite noodles, and for an easy dinner, I make microwaved baked potatoes. L Letters. There are only 26 letters in the alphabet; that’s all we have to work with, but combine them together and they’re among the most powerful human tools. 26 letters to convey every human emotion and anything a human could imagine. M Magazine. Call me “old school,” but I still have magazine subscriptions. I like reading a paper magazine, flipping pages, and ripping out articles I want. N Nightlights. When I was young, they were reassuring. Now that I’m older, a nightlight is just practical. It keeps me from bumping into the wall when I wake up in the middle of the night and go to peek in on my sleeping son. O Odorizer, as in the spray cans in each of my bathrooms. You shake, press the top, and a burst of wild cherry or summer breeze is released into the air to mask any non-fragrant odor that may have invaded our noses. Q Quiet. It’s the night-time quiet that gives me a sense of peace and well-being. 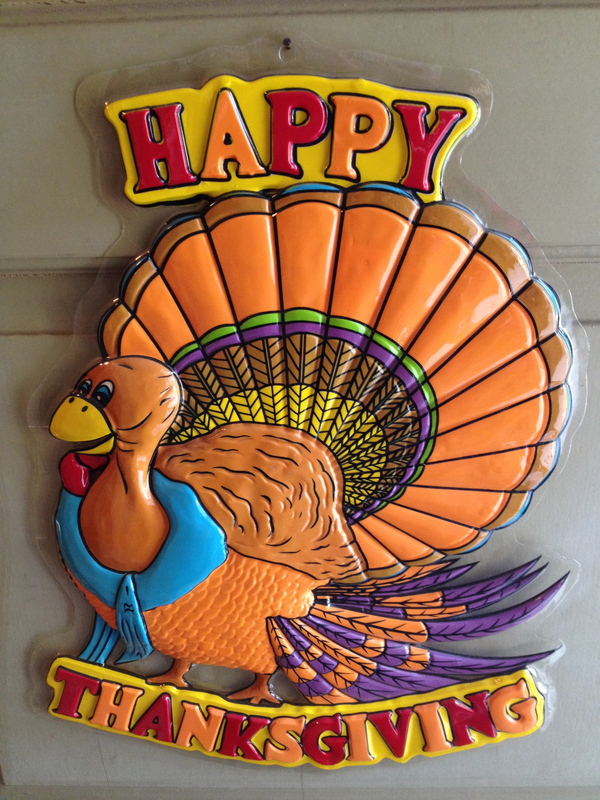 My son is asleep, the house is in order, and I’m appreciative for another day. R Radio. My car has a CD player and a radio in it. I still make my way through my favorite stations, because I never know which song will be playing next. And every once in a while the radio will play a song I had forgotten about, a song I hadn’t heard in a long time, and it puts a smile on my face. S Seat. A seat in a busy Starbucks or at a crowded Johnny Rockets. T Tickle and squish. Games that my eight-year-old son and I play. There most likely will come a day when he won’t want to play these games with me, so for now I treasure them. U Umbrella. While you can certainly make it through a rainy day without one, having an umbrella is a game-changer. It can make the rain not just endurable but pleasant. V Vase with fresh flowers. It’s one of my indulgences. But it makes me happy to have fresh flowers in our home. W Washing machines and dryers. It’s nice to know that all I do is add the ingredients (dirty clothes and laundry detergent) and the washing machine takes care of the rest. X Xerox machines. The computer printer in our home also makes copies. A convenient and easy machine that we use much more than I had originally thought we would. Y YouTube. We don’t watch it a lot, but it is very convenient to be able to access YouTube and watch a variety of different video clips. I’ve told my son about Singin’ In the Rain, and then he and I watched Gene Kelly sing and dance to that famous song. Z Zoos and aquariums. While some may not agree with keeping animals in confinement, I would argue that zoos and aquariums make it much more likely my son will have an up close and personal experience with an incredible creature and then grow up with an appreciation and respect for that creature. It’s been a tough week for everyone I know. Our country, as we know it, has changed. Whatever your individual politics may be, I think we can all agree that the President-Elect has said (and done) some hateful, hurtful things directed at many different groups of people. In fact, his comments and actions directly impact my whole family. The President-Elect has spoken negatively about women (me), African-Americans (my husband and son), the disabled (me), Jews (my son and I), and Muslims (my son’s former nanny). The teacher in me came out as I tried to talk to my son about the three branches of government and the idea of checks and balances. But I can’t help it — I’m scared. I’m scared for the path our country is on; the path that half of my fellow Americans have chosen. 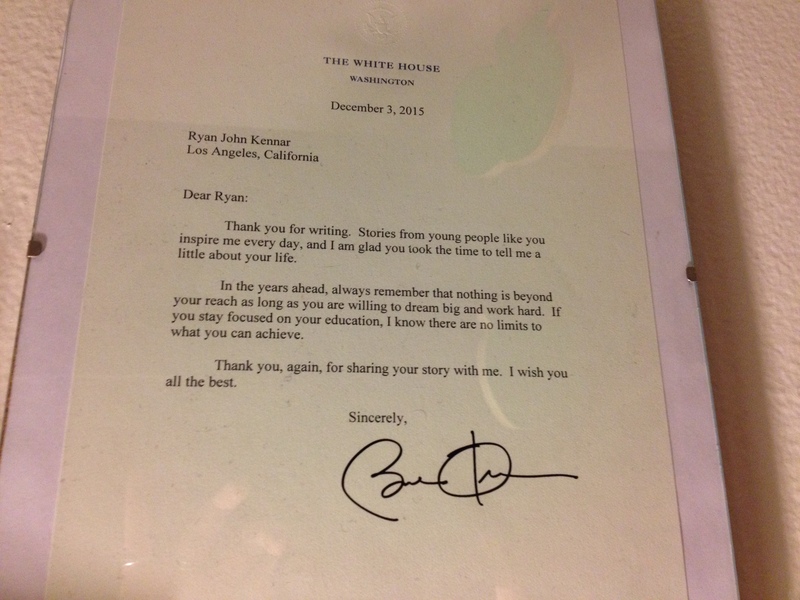 Last year, my son wrote a letter to President Obama. Months later he received a typed reply complete with President Obama’s signature, as well as a picture of the President and a signed picture of the First Family. The letter and pictures were framed and proudly hang in my son’s bedroom. They are there as proof that anything is possible. That a man much like my son (a man with a black Daddy and a white Mommy) could grow up to become President of the United States. That letter and photos will remain as reminders of where we were and where we can return. And needless to say, there will be no framed picture of our President-Elect hanging in my son’s bedroom. 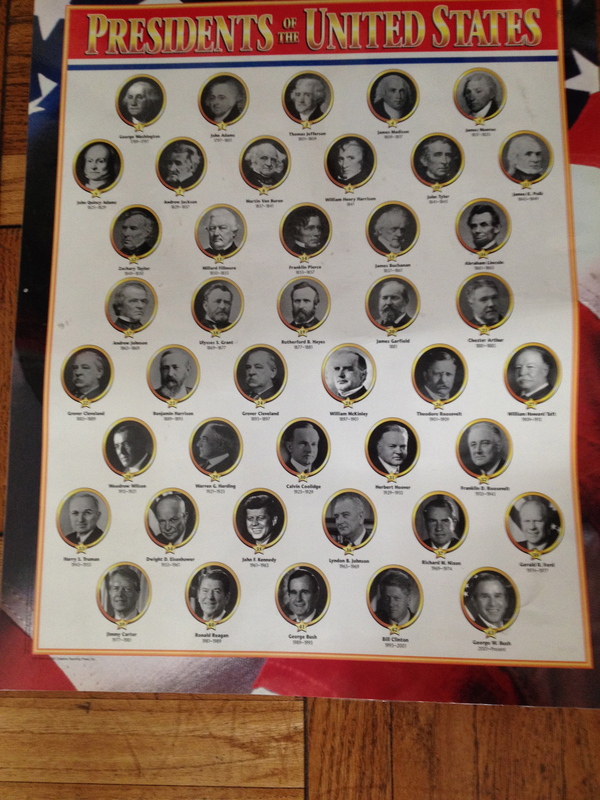 The posters are forever more diverse than they used to be! There’s only one thing to write about today — yesterday’s election. Times are changing, and I see it most vividly by looking at my son and comparing his childhood to mine. 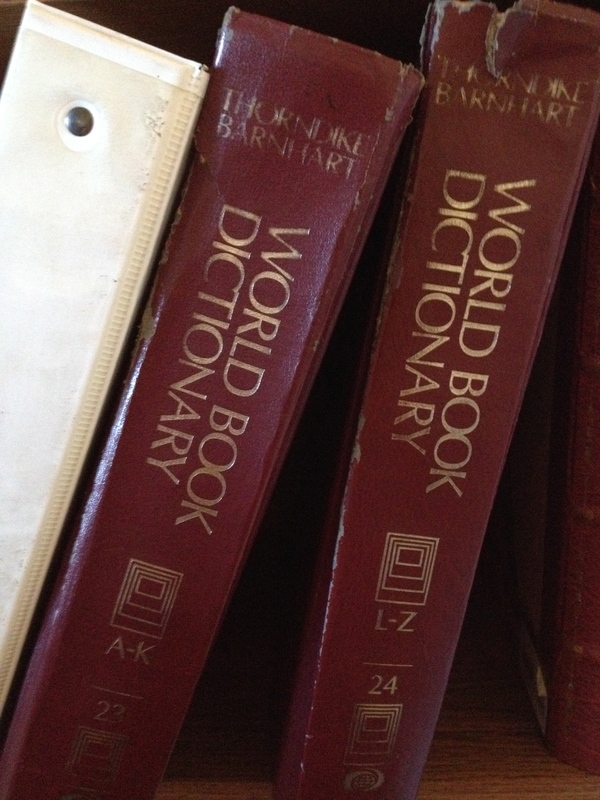 On that note, I’d like to share with you an essay I wrote which was published on MomsLA.com. You can read it by clicking here. My essay began with a question: “How do you talk to a child about an invisible disability?” My essay didn’t win, but I’m proud of it, and I’d like to share it with my readers. Click here and you’ll be taken to the Pen 2 Paper website which has a link to my essay. And, as always, thank you for reading.